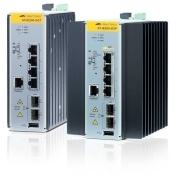 Industrial Ethernet Layer 3 Switches Built for enduring performance in harsh environments. This series delivers the performance and reliability demanded by industrial deployments in the Internet of Things (IoT) age. AlliedWare Plus is the next generation operating system from Allied Telesis, providing advanced IPv4 and IPv6 features, superior robustness, and ease of management. 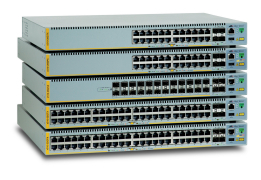 The Allied Telesis x510 Series of advanced stackable Gigabit edge switches offers comprehensive resiliency, security, and management features in a compact, highly-reliable package. 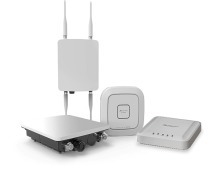 TQ Series Enterprise Class Wireless Access Points Enjoy a high-capacity, reliable wireless network with low operating costs by making your network simple to configure, monitor and manage. 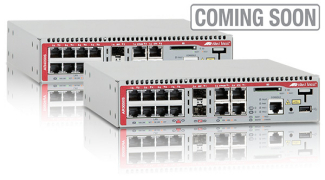 Powerful Gigabit switches with high capacity, resiliency and easy management, making them the ideal choice for demanding distribution and network access applications. Active (Ethernet) vs. Passive (PON) — What's Best for You? Active Fiber Monitoring from ALLIED TELESIS on Vimeo. Vista Manager EX Walkthrough from ALLIED TELESIS on Vimeo. What is Autonomous Wave Control? What is Autonomous Wave Control (AWC)? from ALLIED TELESIS on Vimeo. Allied Telesis - SwitchBlade x908 Generation 2 Animation from Snapshot Interactive on Vimeo.